Last Friday (22 August) we held a party for around 150 representatives of our top corporate & banqueting accounts here at the hotel, as a way of saying thank you for their support so far this year. The party included food, drink, live music from several bands & singers, a speech from yours truly, various games and a prize draw, and judging from what many guests said to me, a good time was had by all! Obviously laying on food, drink & entertainment for 150 people isn’t cheap, but as far as I’m concerned it’s money well spent. Some marketing expenditure – press advertising being a prime example – is difficult to measure. But the value of getting 150 top customers together, showing them a good time, and being able to chat to them personally, is immediately apparent. I attended a seminar on inflation on Monday (inflation in Vietnam is currently running at around 28%! ), and one of the key messages from the speakers was that, during times of high inflation, businesses need to reinforce relevance and remind their customers just why their product or service is worth paying for. Getting 150 of our top accounts into the hotel and reminding them how good our food & service is, and how friendly our staff are, is a great way of doing this. 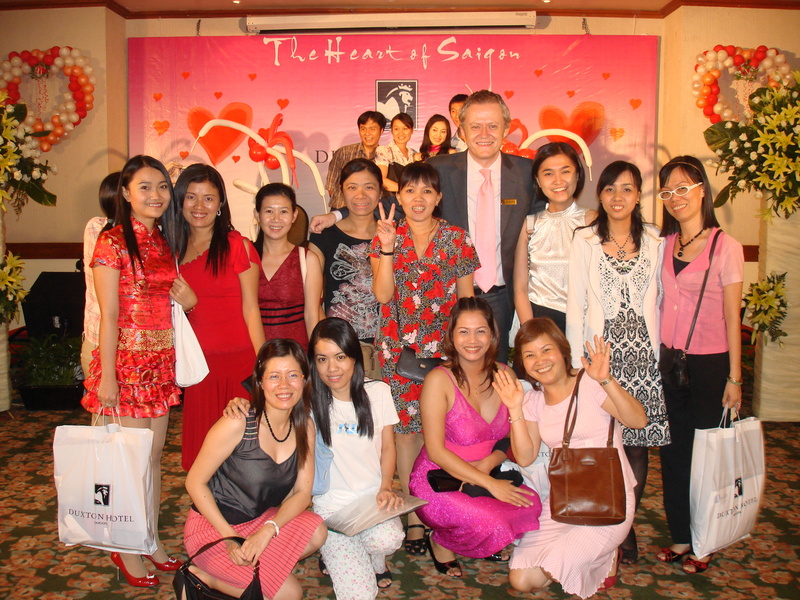 A quick thank you to the sponsors who kindly donated prizes for the evening – Sofitel Dalat Palace, Victoria Hotels & Resorts, Blue Ocean Resort, Apollo Education & Training, Kose Cosmetics, Plus Vietnam and Cantina Central. Your support is much appreciated!